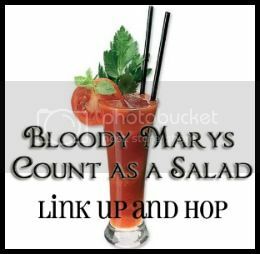 Tammy365: Guest Hosting "Bloody Marys Count as a Salad #24" Link with us! Guest Hosting "Bloody Marys Count as a Salad #24" Link with us! What's with the name? We named it Bloody Mary’s Count as a Salad, because anything goes in this hop! Need to vent? Go for it! Need to say something snarky? DO IT! Or do you just want to share your blog and/or a specific post? We'd love to read it! Anything you want to share, we want to see it! And introducing a social aspect of the hop! 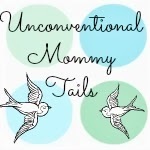 Each week we will feature a different social media linkup. This week is Twitter! Link up your blog in the first linkup and your Twitter URL in the second linkup! Of course, there are a few rules, we aren't going for hop chaos here! Follow your hosts and each weeks special guest co-host. Link up your blog or specific blog post. Whatever you’d like to share is ok with us! Visit 3-4 other blogs and say hello! Try to be nice and follow those who follow you. And don’t forget to say hi to your hosts if you are new! Grab the link up button and put it in your side bar, in your post, or put our link on your link up party page. Not mandatory, but we’d love to have you share our hop with others. Tweet it, post about it, or share it on Facebook. We’ll love you forever if you do… And it might help you grab a co-host spot next week.